Promea Industrial Design is an all-round design agency that develops products in commission of its clients. Promea designs innovative products on a full service basis, from idea generation up till technical factsheets and production start-up. 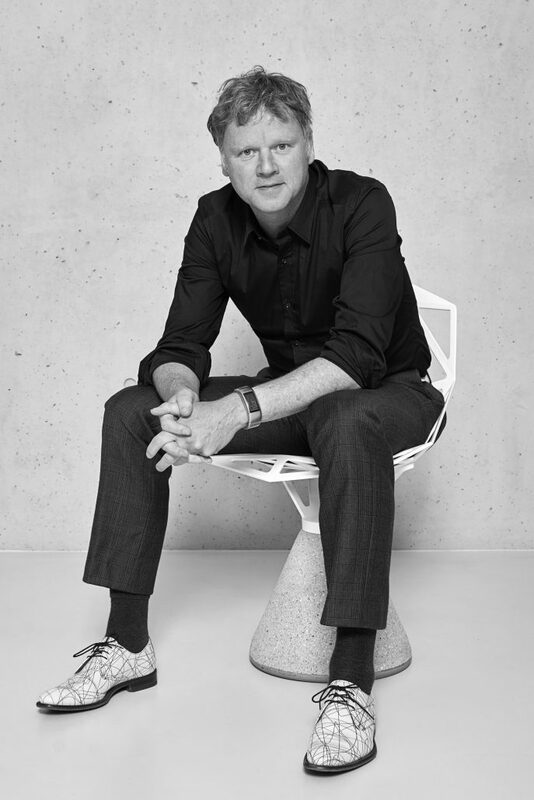 Founded in 1991 by Albert-Jan van Dijk Promea has more than 25 years of experience in product design. If you are interested in what we can do for your product portfolio, please let us know. Promea was founded in 1991 by Albert-Jan van Dijk. In his hometown Leiden van Dijk laid his foundation for his know how and skills on precision engineering at the Leidse Instrumentmakersschool. The Lis is a unique institution established as part of the famous laboratories of Physics of Nobel prize winner Heike Kamerlingh Onnes. In the same period van Dijk developed his strong fascination for industrial design. Especially the works of technically trained industrial designers like Frans de la Haye, Bruno Ninaber van Eijben and outside the Netherlands, Giorgetto Guigiaro and Dieter Rams continued his training at the Academy of Industrial Design (now Design Academy). After an exchange with the Ravensbourne College of Art and Design and an internship at Pentagram Design in London van Dijk graduated with honours in 1991 under Werner Schultze Bahr. 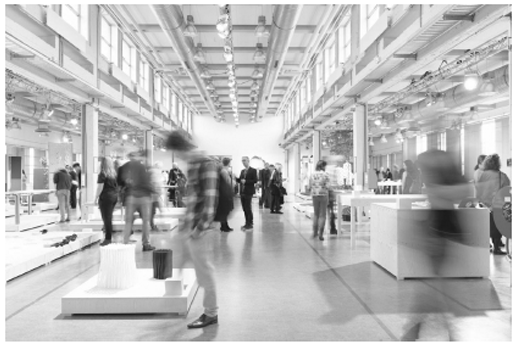 The Design Academy is Europa’s first full time academy for Industrial Design and renowned worldwide. 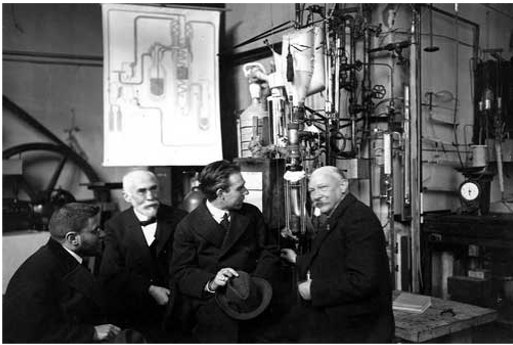 Paul Ehrenfest, Hendrik Lorentz, Niels Bohr, Heike Kamerlingh Onnes in the Cryogenics Laboratory in Leiden in 1919 The Kamerlingh Onnes Laboratories are the home of the Leiden School for Precision Engineering L.I.S. ever since. After a short period at van Nieuwenborg Industrial Design van Dijk started collaborating with several manufacturers in the field of personal safety, rehabilitation and care. Some of them proved to be very sustainable and successful like the one with Karel van de Grinten and Peter Kuipers. Today Promea is working for more than 25 years for a large variety of industries. We are located in beautiful Breda, between Rotterdam and Eindhoven, on a site formerly owned by Philips in other words, in the heart of the Dutch knowledge- and manufacturing industry. Founded in 1953 The Akademie voor Industriele Vormgeving Eindhoven was the first full time bachelor’s course for industrial design in Europe. Today under the name of Design Academy Eindhoven it’s the world’s most renouned intitution for conceptual innovation and design. Our mission is to launch valuable, desirable and successful products. Design solutions with a high grade of technical innovation, a strong unmistakable character, contemporary or timeless in style and perfectly reflecting your companies identity. The added value of our applied integrated design strategy is hidden in a true multi-disciplinary approach of every design challenge throughout the entire development process. From technology to aesthetics, from price setting to environment and from functionality to emotion. In this way we always focus on the main objective. In order to achieve this goal we work in a small devoted team of professionals and a fine network of specialists. In all stages we listen patiently, effective communication and careful planning is crucial. We both prepared the launch, together we monitored and altered the flight and at the end we both hit the same target. Since the early nineties Promea had built up long term relationships with clients in a variety of industries. Some of our designs are awarded with national or international design awards and some inventions are patented. Moreover our company is awarded for the way we collaborate with educational institutions. Full service under one roof. In house model shop. In house CAD studio. 3D printing etc. Integrated process of functional, technical and esthetical design aspects. Cost reduction through process integration, function integration and part reduction. A lot of experience in miniaturization. Independence from third parties, and the advantage of a large knowledge network.